Saudi Arabia threatens to 'chop off the hand' of Hezbollah, Iran, Hezbollah leader Hassan Nasrallah responds in kind. Saudi Arabian Minister of State for Gulf Affairs Thamer al-Sabhan tweeted that Hezbollah is the "Satan's party," the "terrorist party" and compared the terror group to Al-Qaeda and ISIS. According to MEMRI researchers, al-Sabhan is calling on the world to united against Hezbollah, slamming the terrorist organization's representation in the Lebanese government. In September, al-Sabhan tweeted, "The inhuman crimes committed against our nation by the Party of Satan [Hezbollah] will no doubt have repercussions for Lebanon. The Lebanese must choose between supporting [Hezbollah] and opposing it. Arab blood is dear." On October 8, he tweeted that "the American sanctions against the Terrorist Militia Party in Lebanon are good; however, the solution is [to establish] a resolute international coalition that will fight it and whoever acts with it, for the purpose of achieving regional peace and security." Four days later on October 12, al-Sabhan wrote, "Terrorism is terrorism and it should be fought everywhere. Would the world conceivably be happy if ISIS or Al-Qaeda elements were present in countries' parliaments and governments? The world must unite against the parties of evil." The next day, al-Sabhan explicitly threatened Hezbollah and its Iranian backers. "The Party of Terrorism [Hezbollah] and the one who is operating it [Iran] should not assume that its dirty behavior against the kingdom [i.e. Saudi Arabia] and the Gulf states will go unpunished. The kingdom will chop off the hand of anyone who attempts to harm it," he tweeted. MEMRI researchers also noted Hezbollah's reaction. 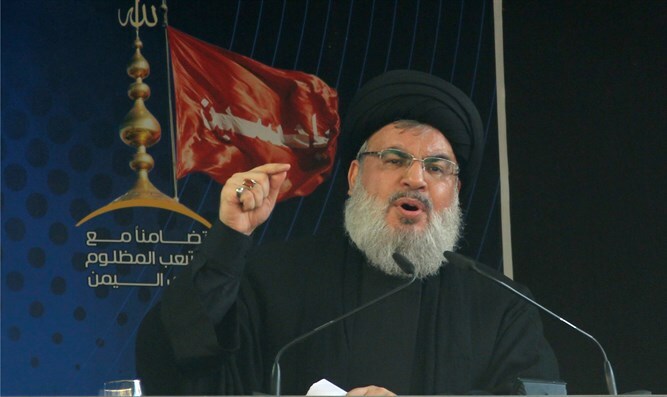 Speaking on October 8, Hezbollah leader Hassan Nasrallah said, "Hezbollah is too big for Al-Sabhan and his masters to confront using [their] local coalition, so they called for the establishment of an international coalition to act against Hezbollah. [Al-Sabhan] knows very well that Saudi Arabia and its leaders alone cannot do a thing against Hezbollah. They can curse it on their television channels and pay some people in the papers and the mosques [to malign it]. But what [else] can they do? That is why he [Al-Sabhan] needs an international coalition." Today our axis is stronger than ever... in terms of gear, manpower and experience... When you have such jihad fighters you are not afraid of a braggart like [US President Donald] Trump or a little boy like Al-Sabhan. They do not scare us and they will change nothing... We want Lebanon to be united and to live in coexistence and brotherhood. [We want] a strong, honorable, sovereign, free and independent Lebanon. Any hand that reaches out [to harm] this country will be chopped off."